They are seeking the remit of the commission to be widened and will hold a protest against it today. MOTHER AND BABY home survivors are to protest against the government’s commission of inquiry into the homes today. The survivors are all part of the Coalition of Mother and Baby Home Survivors (CMABS), and they will be lodging a formal complaint with the government over the fact some homes are not included in the inquiry. The group will hold a short protest outside the Dáil before meeting at the commission of inquiry’s headquarters on Baggot St, where they will hand in the official complaint. They are expected to hold a picket outside the building. They are also appealing for a legal team to take on their case pro bono so that they can undertake a judicial review of the inquiry. They say that Northern Ireland’s comparable historical abuse inquiry is making Ireland “look ridiculous”. 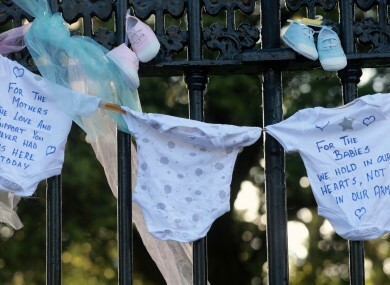 Paul Redmond of Adoption Rights Now and Castlepollard mother and baby home told TheJournal.ie that the CMABS members are “deeply unhappy” with the inquiry. He said that their biggest problem is that the inquiry “has the power to recommend to the government that it can expand its own terms of reference” and they are unhappy that certain survivor groups are not included in the scope of the inquiry. He said that this included illegal adoptees. “We are looking for the terms of reference to be extended to cover all issues related to the treatment of single mothers and children in the country,” said Redmond. The terms of reference can be read here. He said that anyone who was not born in one of the inquiry’s named institutions “is completely excluded” because of the length of time that has elapsed since their cases. CMABS had a full formal meeting with all the commissioners on the inquiry in January. “We put our case across to them – there’s no doubt we made our case,” said Redmond. However he said that CMABS has not had a “definitive” answer on the issue. It is understood that the commission cannot change its terms of reference – only the government can do this. However, it can make recommendations on changes to the terms. The commission is not commenting on today’s protest. CMABS said that “survivors are dying without seeing justice and are profoundly wounded and injured” by the situation. It’s expected that 30 – 40 people from across Ireland will attend today’s protest. The commission is due to send a report on the inquiry to government next month. Redmond said that if the commission doesn’t seek to extend the terms of reference, CMABS will be seeking a meeting with the Taoiseach. The members of CMABS are Adoption Rights Now; The Bethany Home Survivors; Beyond Adoption Ireland; Adopted Illegally Ireland and the Castlepollard Mother and Baby Home group, in equal partnership with the Adoption Coalition Worldwide. CMABS says it has offered the inquiry a low cost and speedy method to include all survivors. It is demanding an immediate acknowledgment, apology and redress from this government “while there is still time”. CMABS is an umbrella group that came together in late 2013 to jointly submit a complaint to the UN Committee Against Torture. The members of the commission of investigation are Professor Mary E Daly, Judge Yvonne Murphy and Dr William Duncan. The full list of homes being investigated can be found here. Email “Mother and baby home survivors say their community is "torn in half" over inquiry terms”. Feedback on “Mother and baby home survivors say their community is "torn in half" over inquiry terms”.